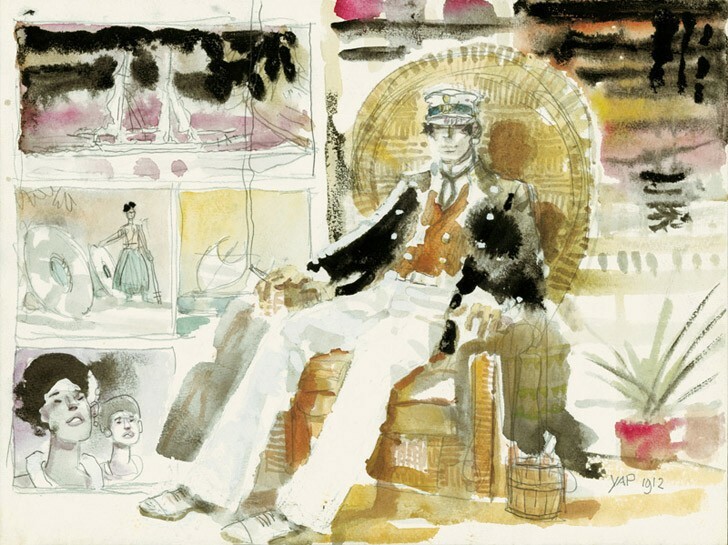 Pratt, who loved to quote Montaigne’s “One should always have one’s boots on and be ready to leave”, puts Treasure Island, Stevenson’s masterpiece, in picture form. 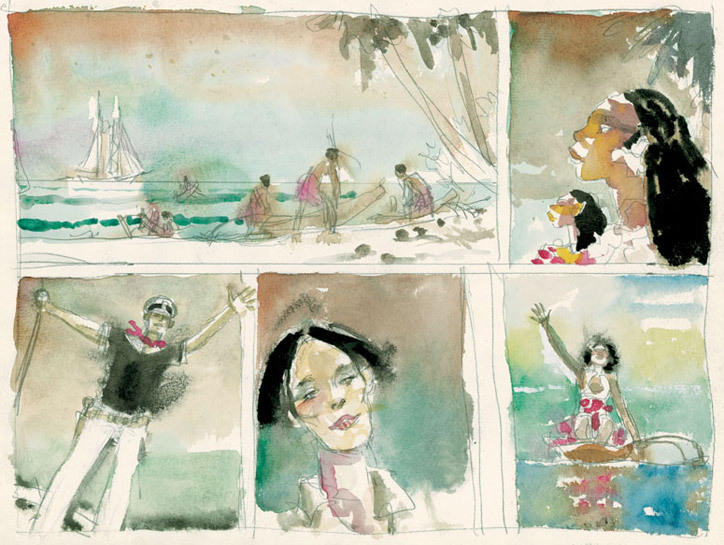 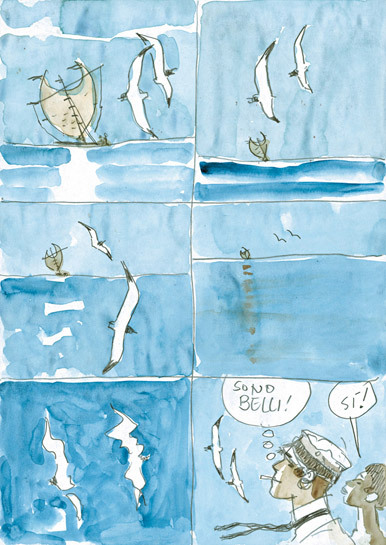 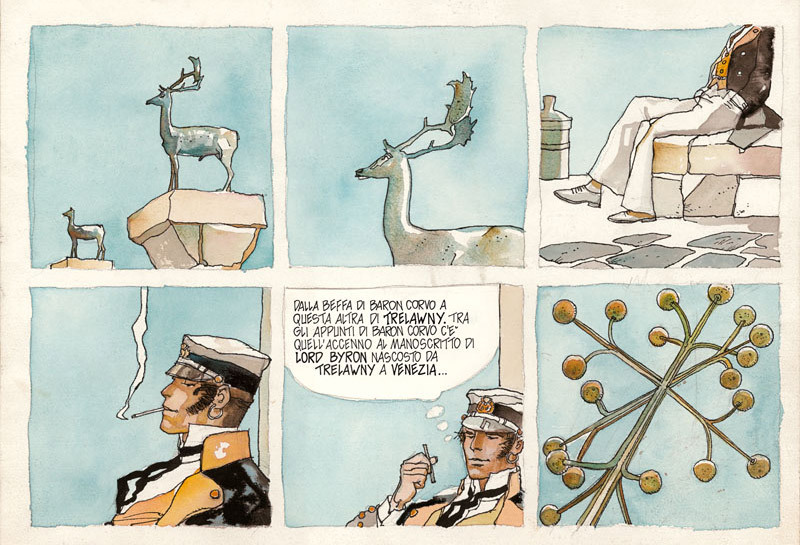 But it is above all with the famed “Una Ballata del Mare Salato” that the author gives us his best work, appropriating the world of islands and oceans. 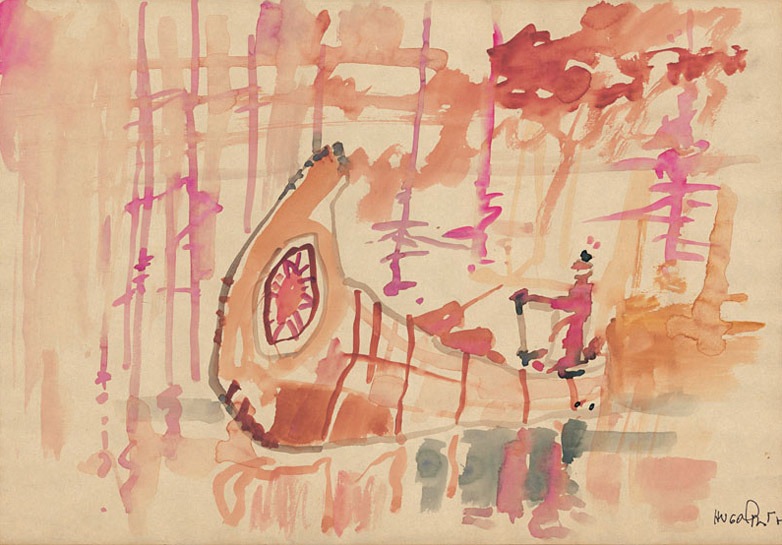 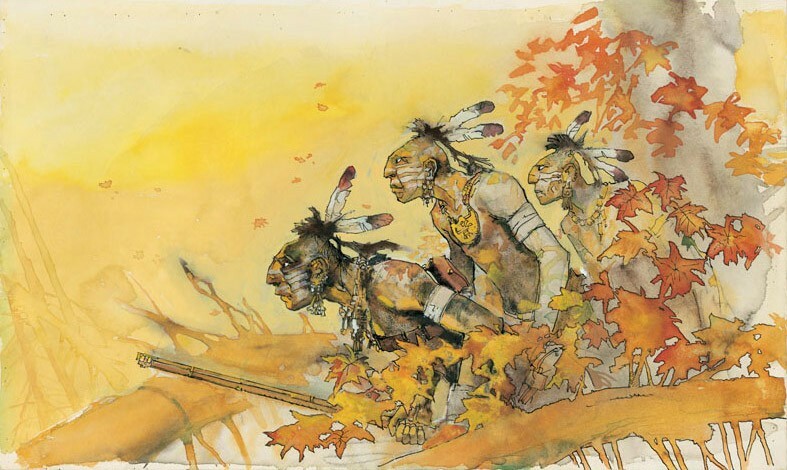 The very first drawings Pratt ever made were of American Indians. 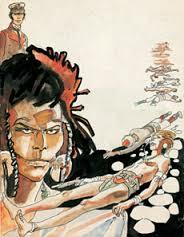 His love of the Indians, in particular those of the Northeastern United States (Iroquois and Mohawk) stayed with him for his whole life. 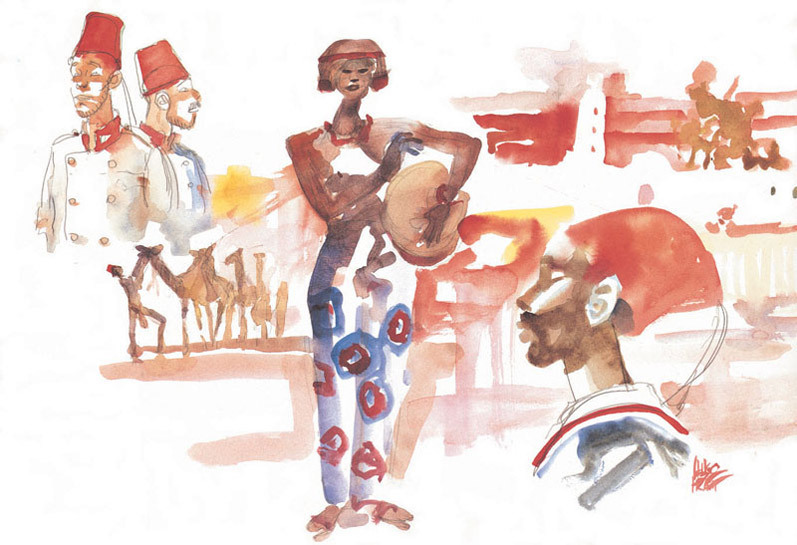 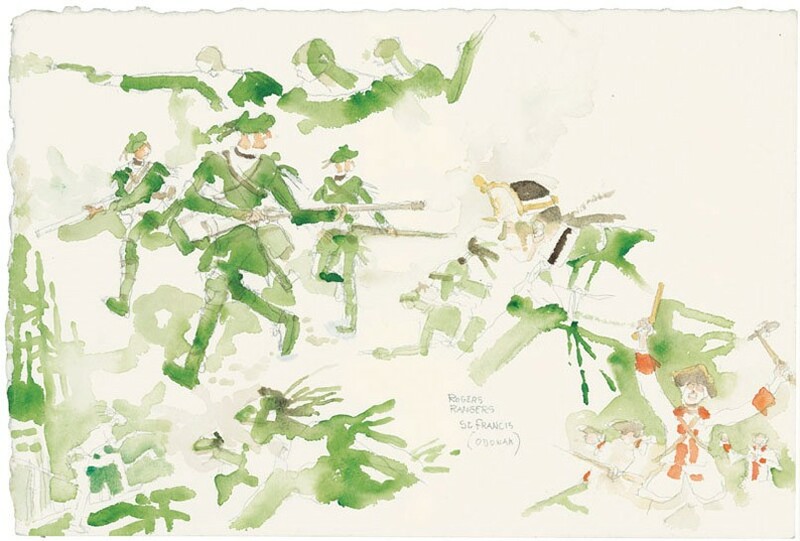 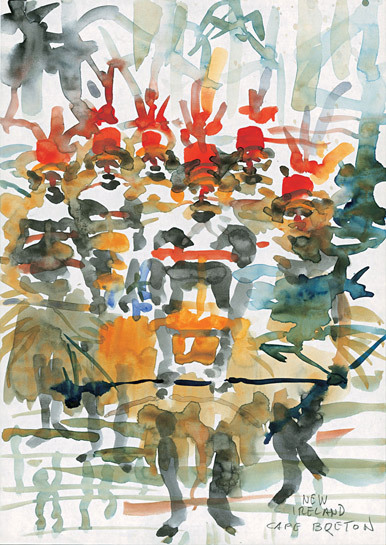 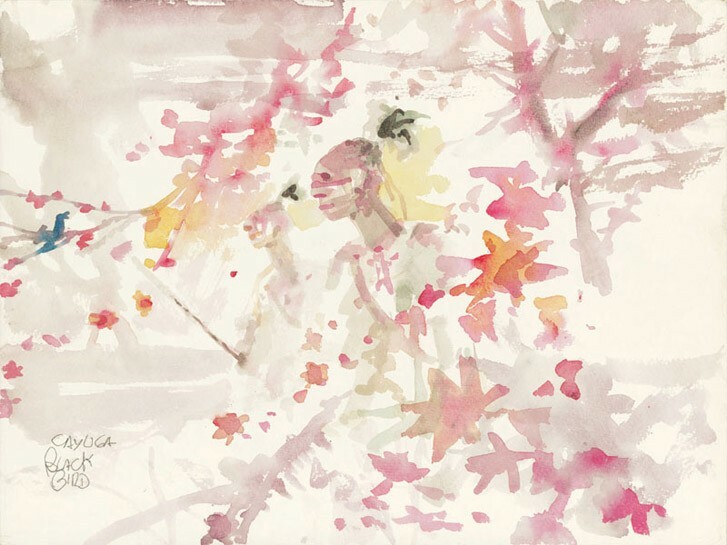 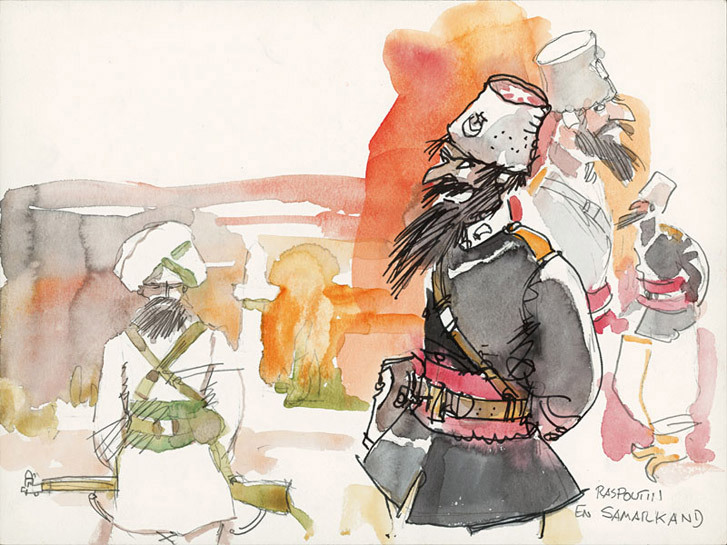 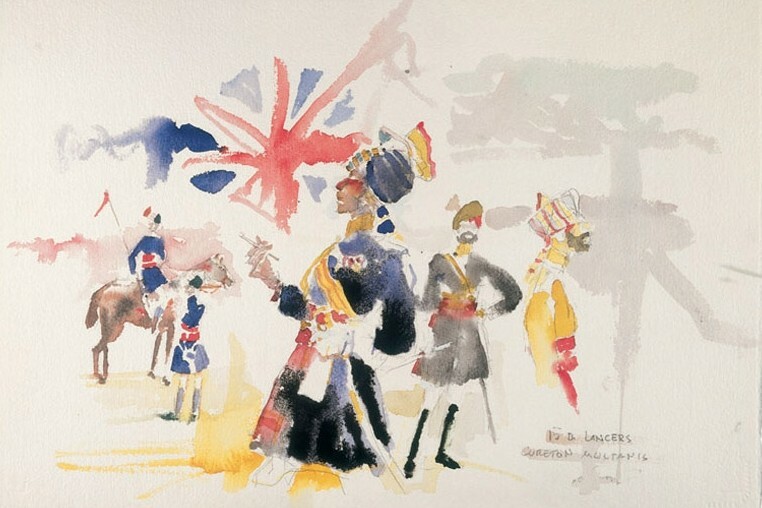 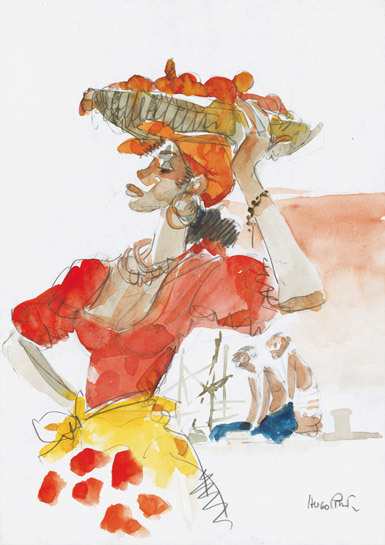 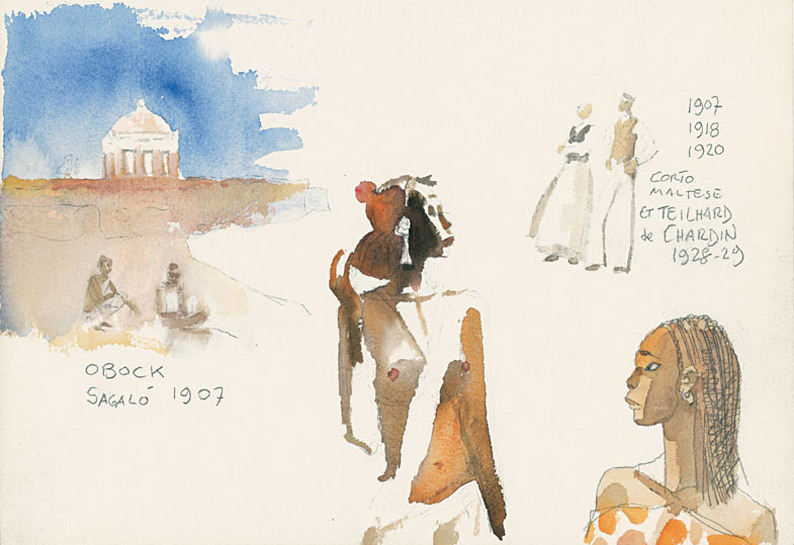 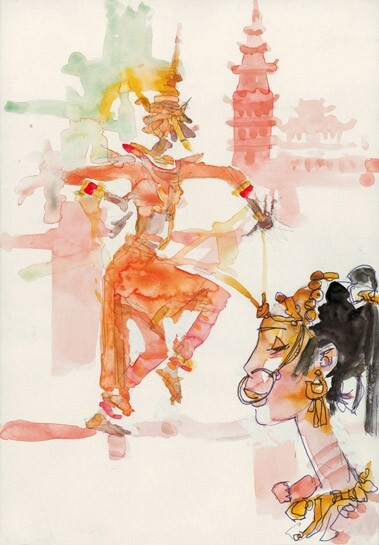 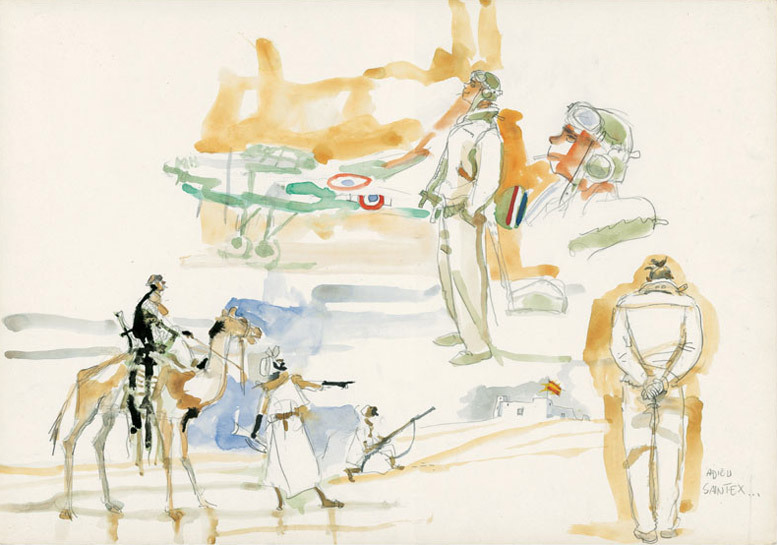 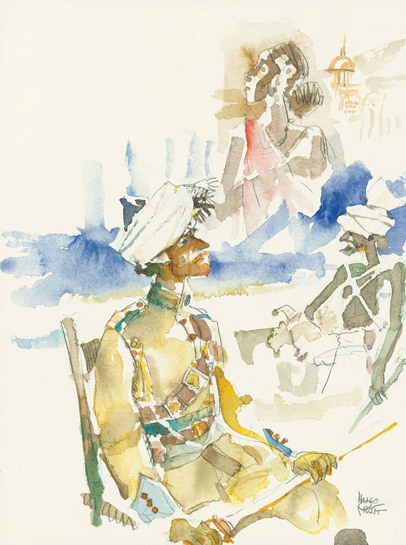 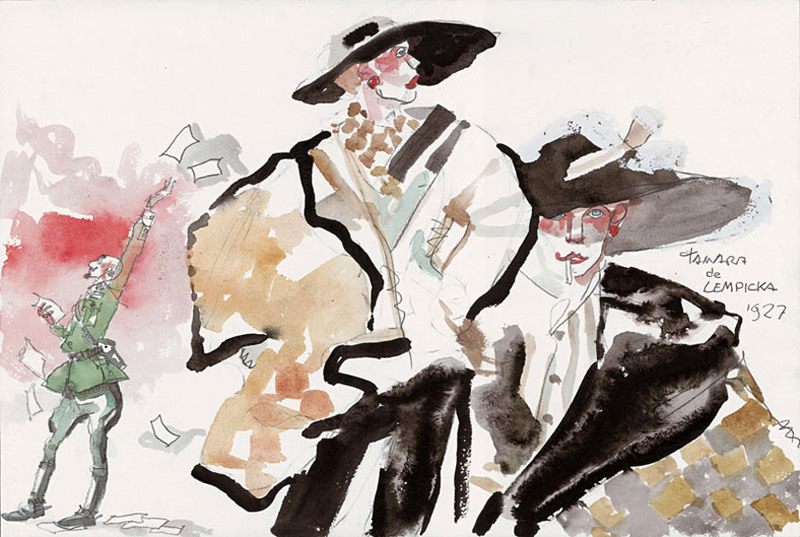 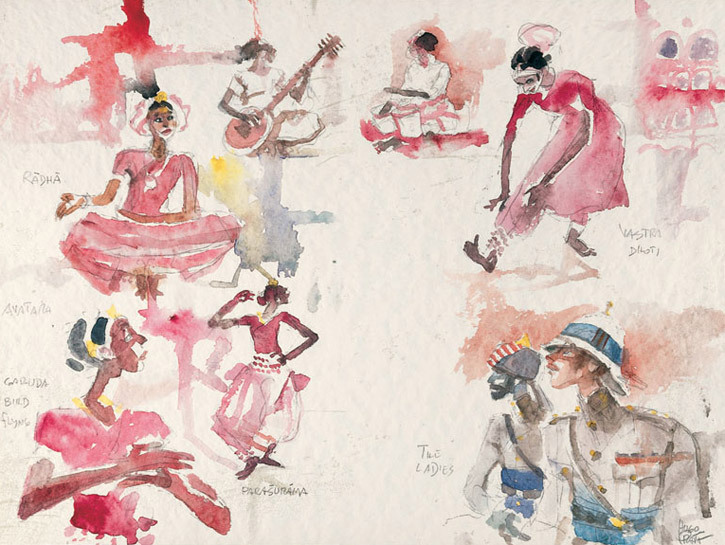 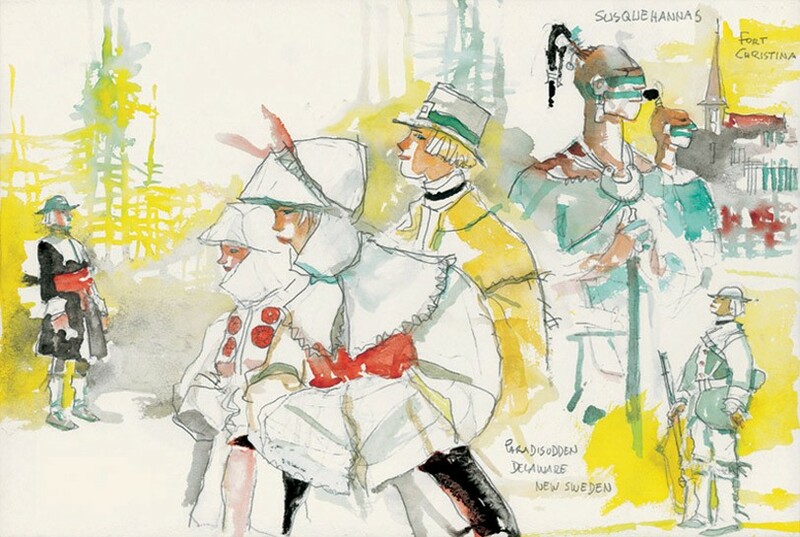 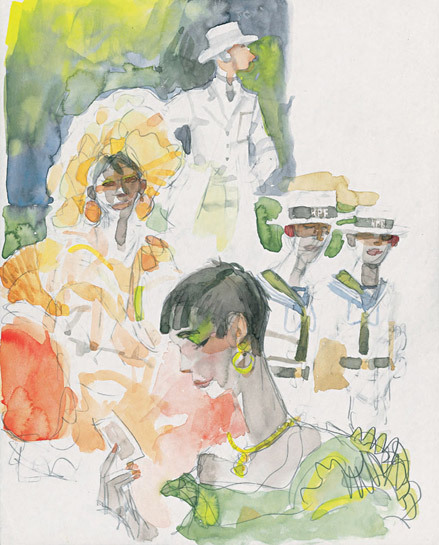 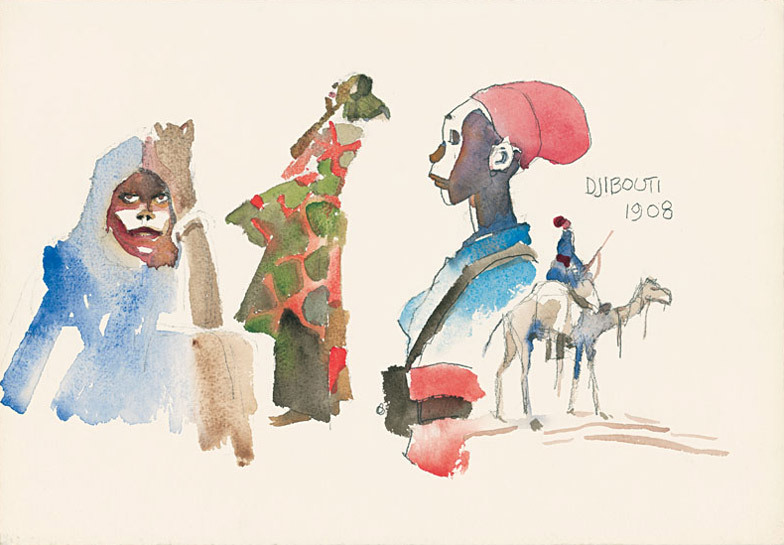 Pratt created magnificent watercolors that were inspired by the Indian Wars and the War of Independence in North America. 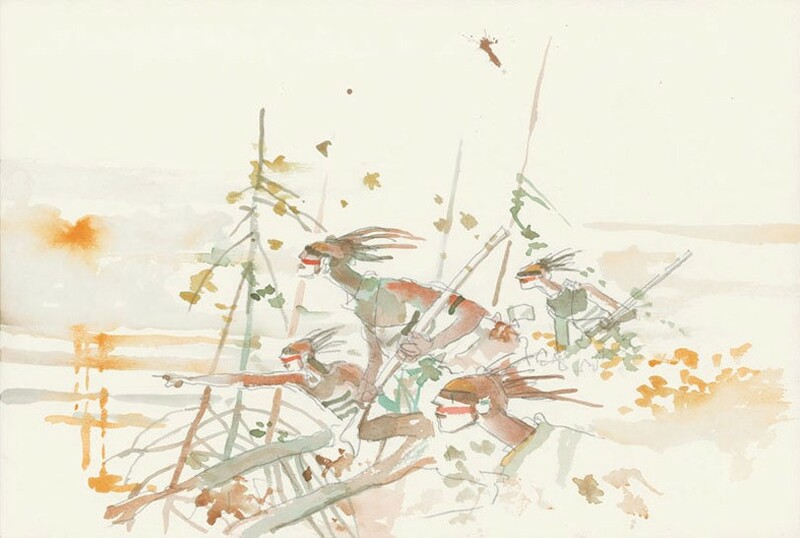 He reached the peak of his graphic genius with the creation of Wheeling, a work dedicated to a city in Ohio that was plagued by clashes between the Native Americans and the white settlers. 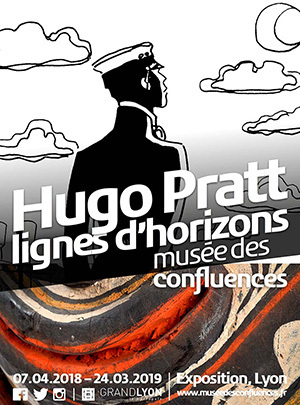 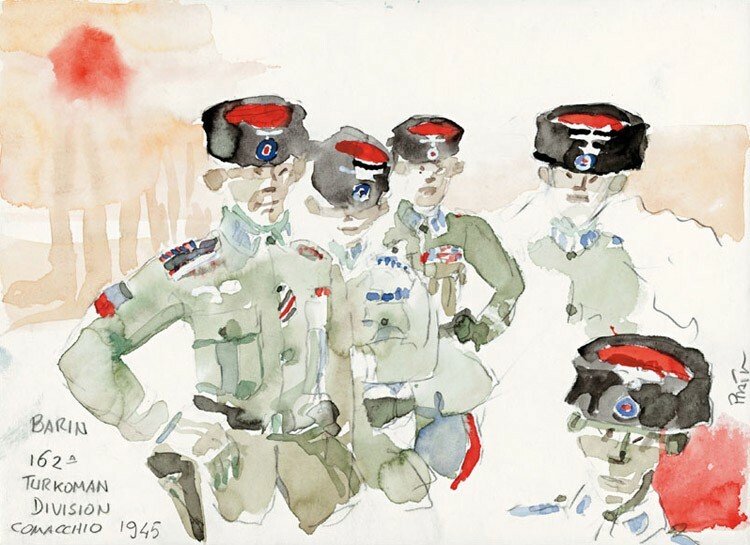 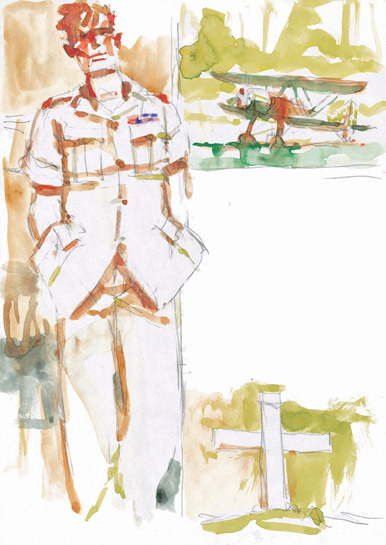 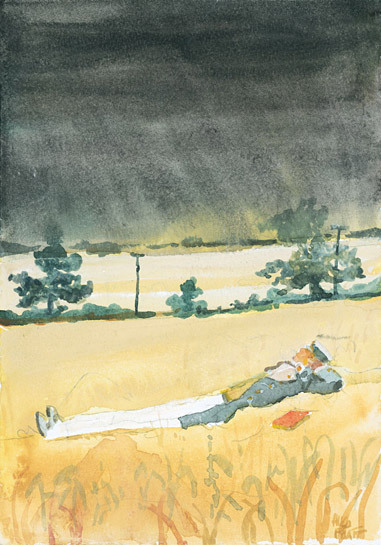 Hugo Pratt experienced the Second World War while in the midst of people and armies of different nationalities..
As his father was a Frenchman of English origins, his mother was an Italian from Venice, and his grandparents were Jews who had left Turkey to move to Murano, Pratt’s attraction for these cities and ports is understandable: they are symbols of the fusion of cultures. 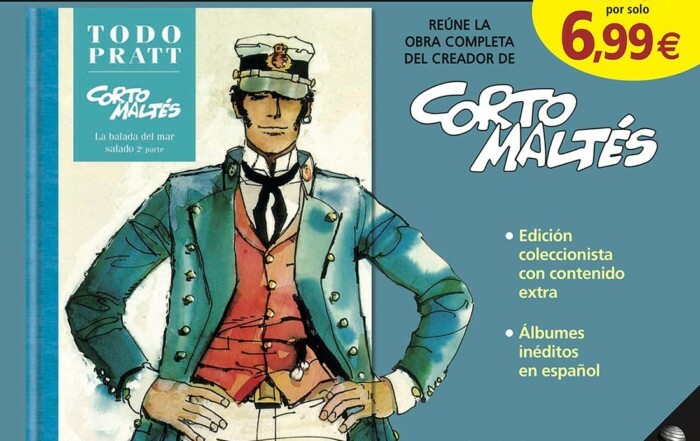 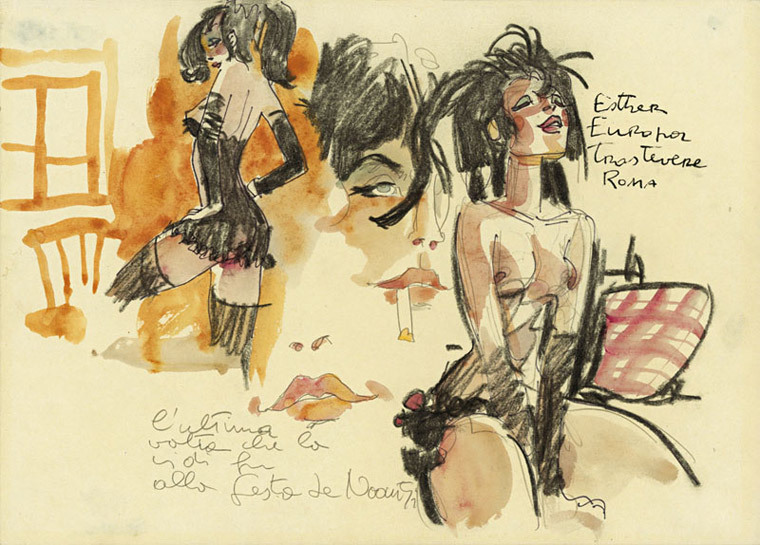 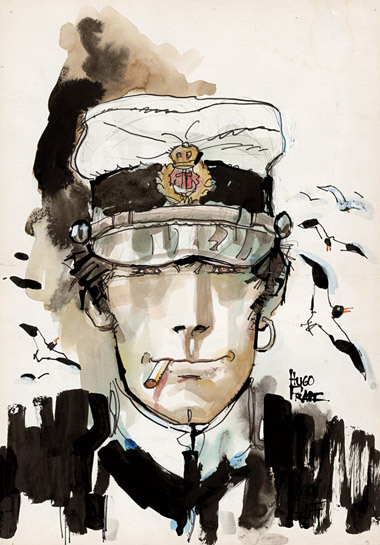 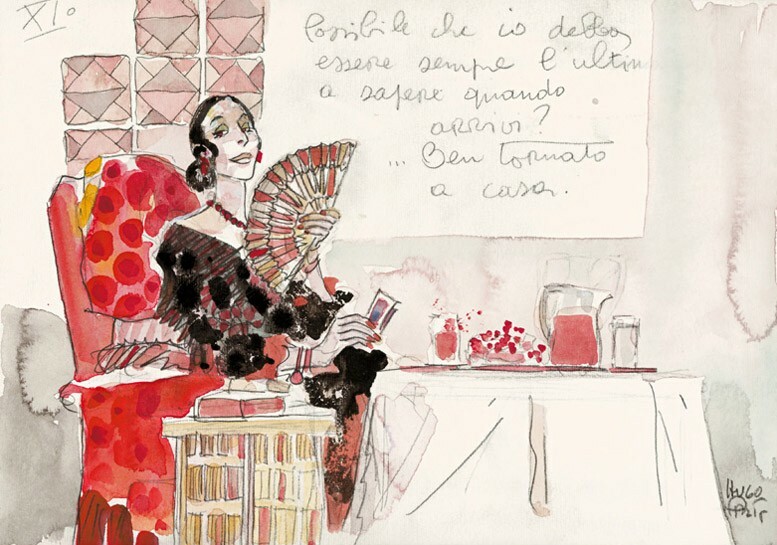 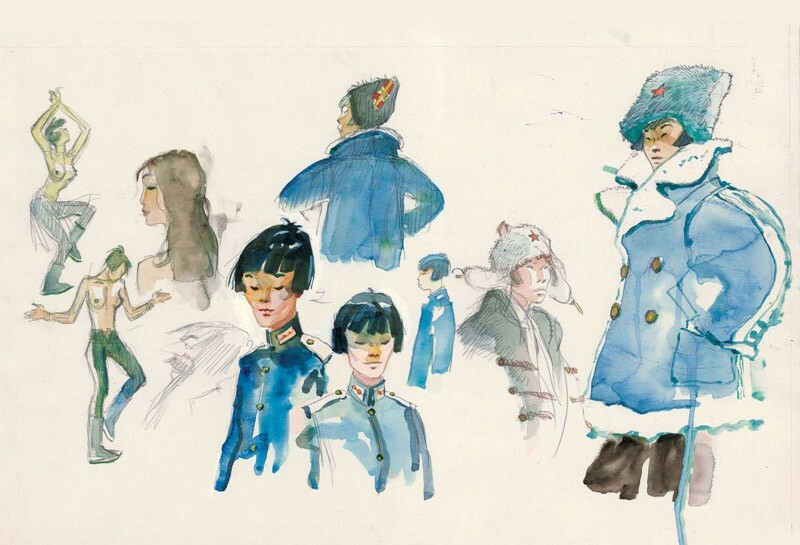 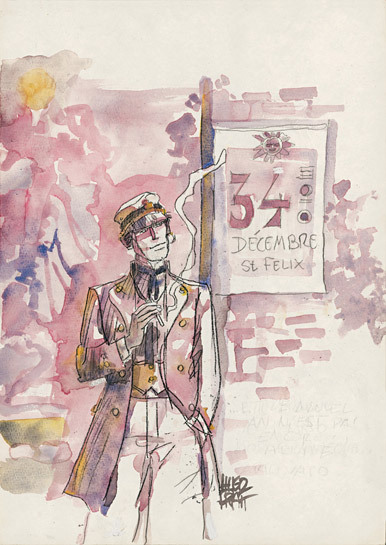 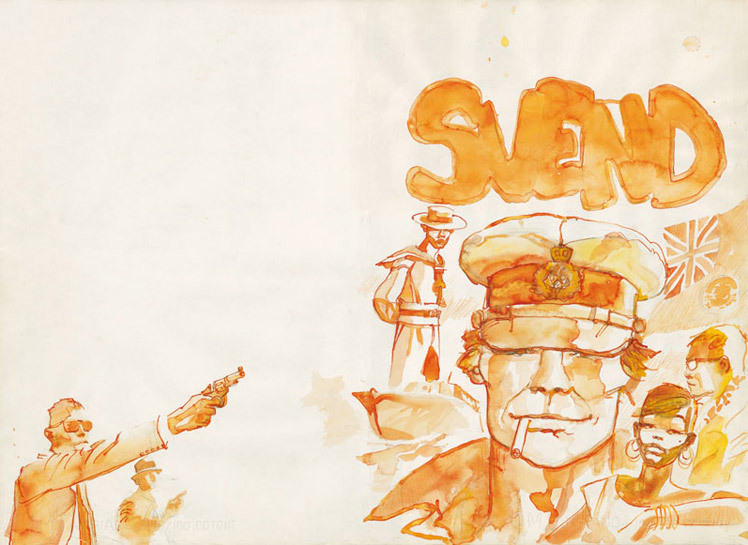 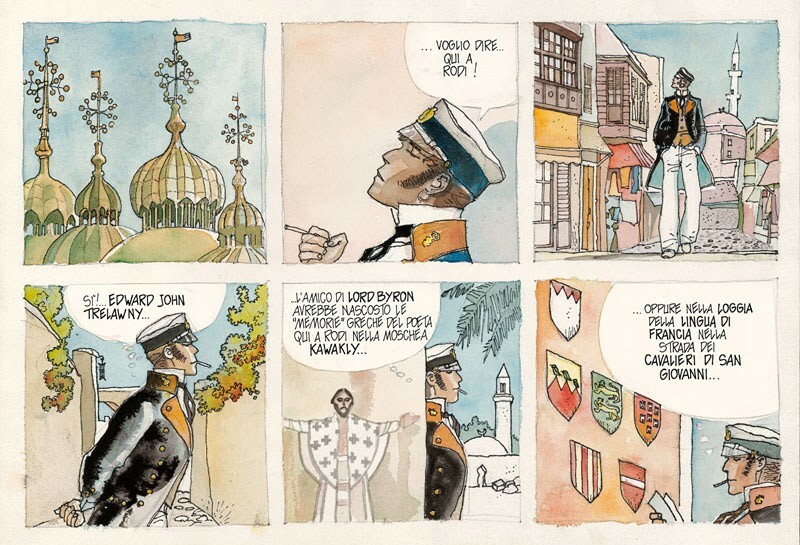 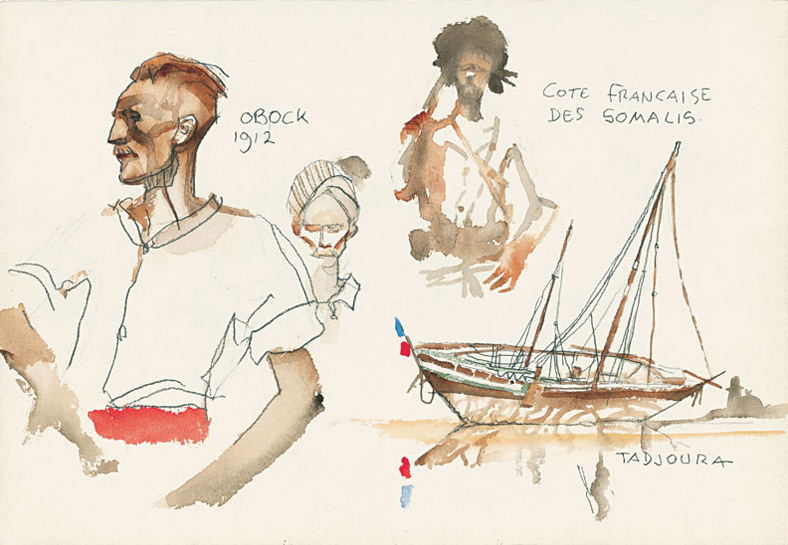 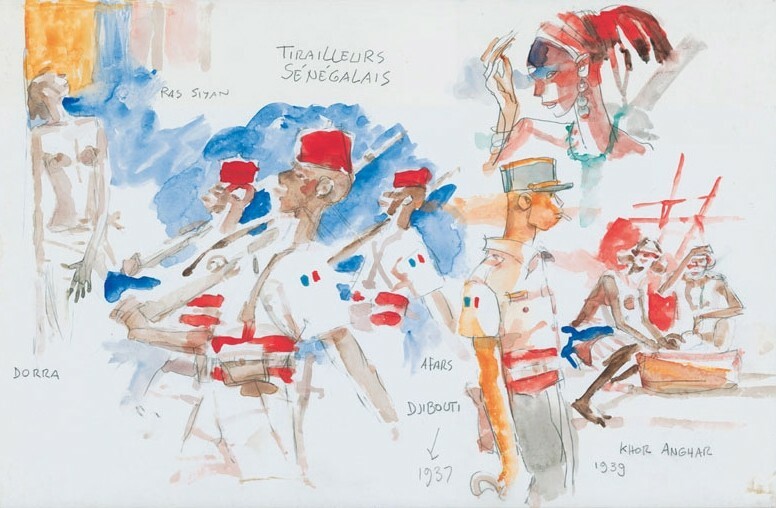 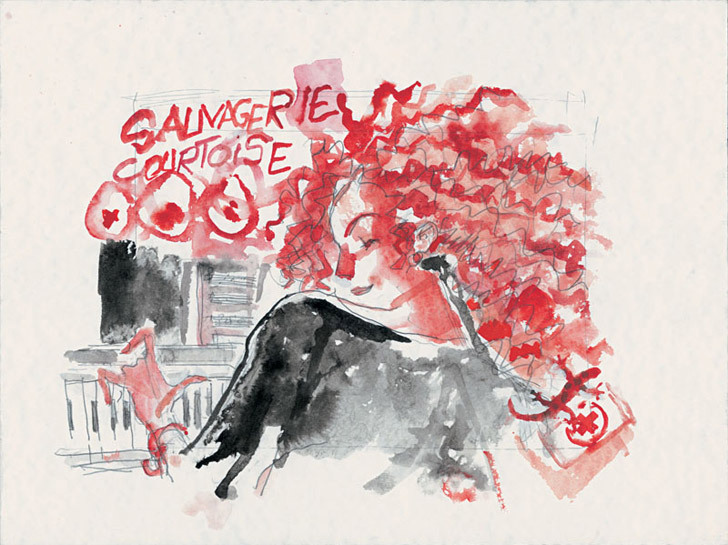 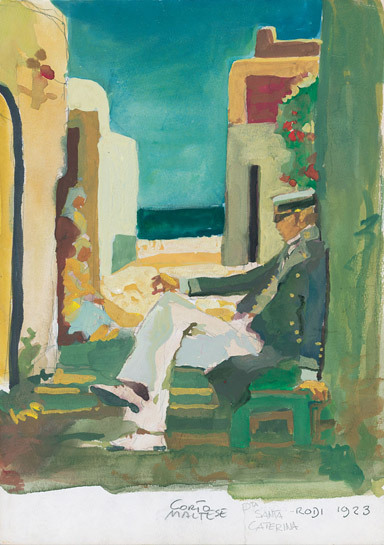 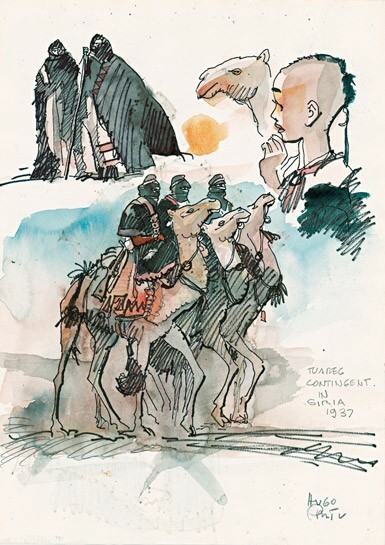 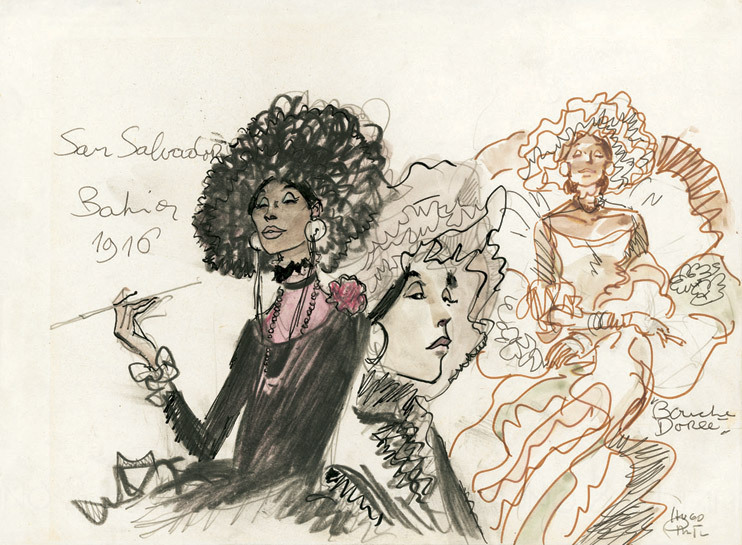 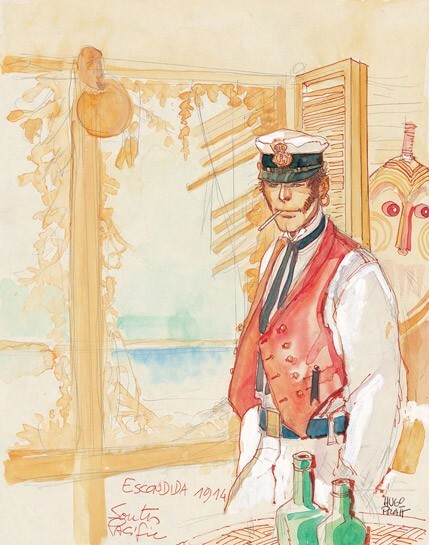 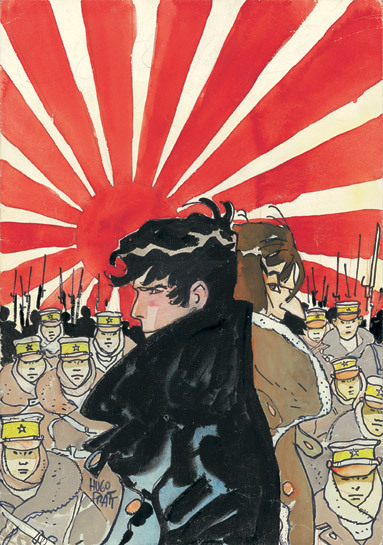 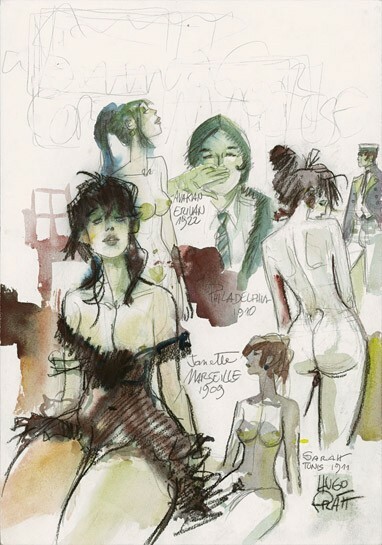 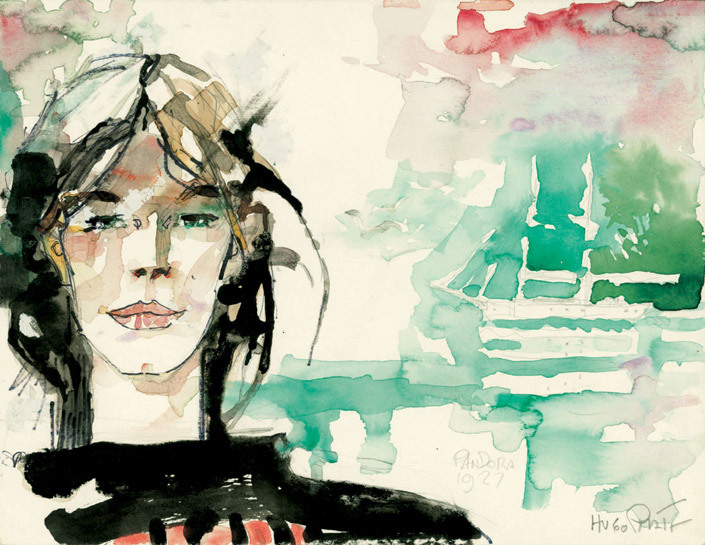 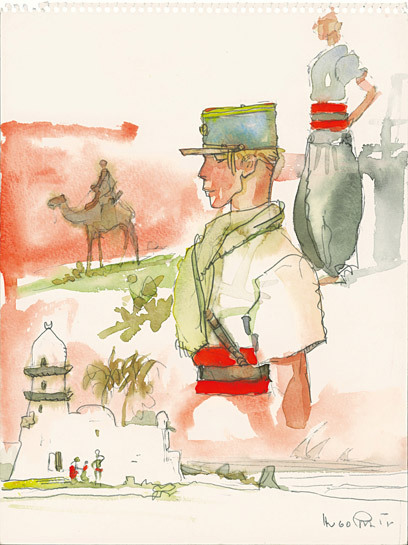 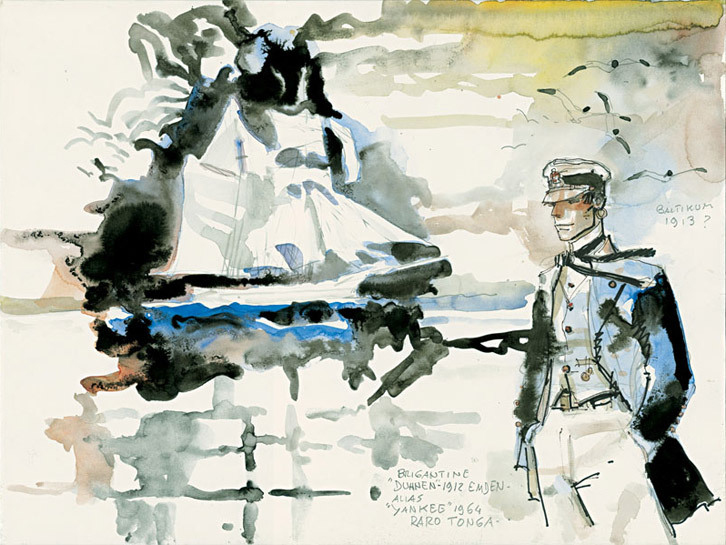 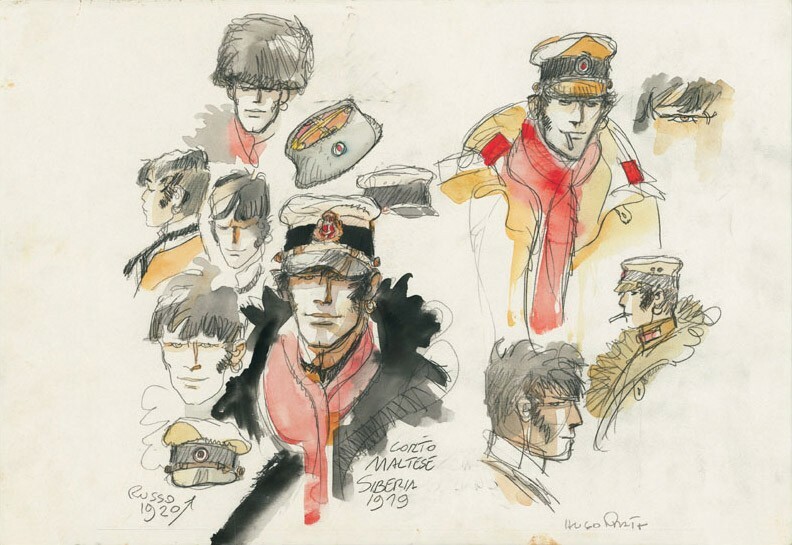 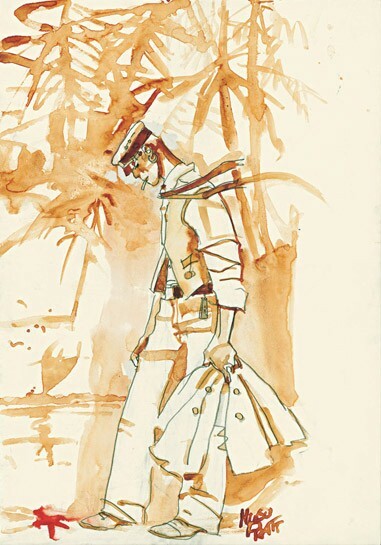 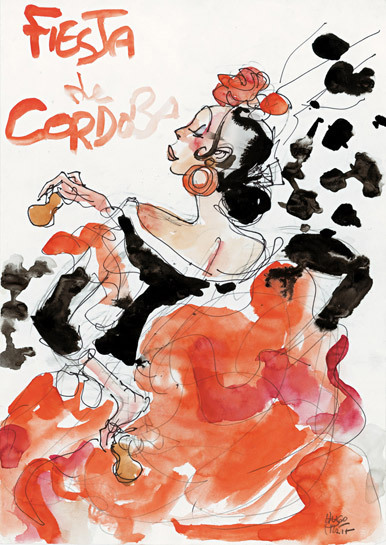 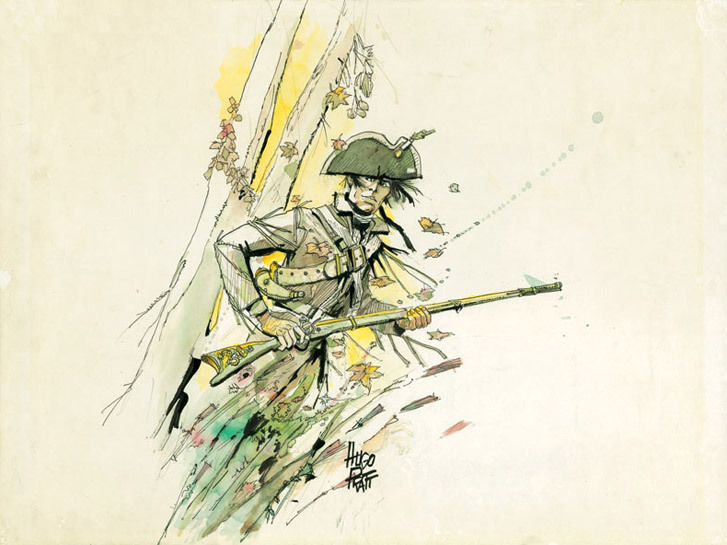 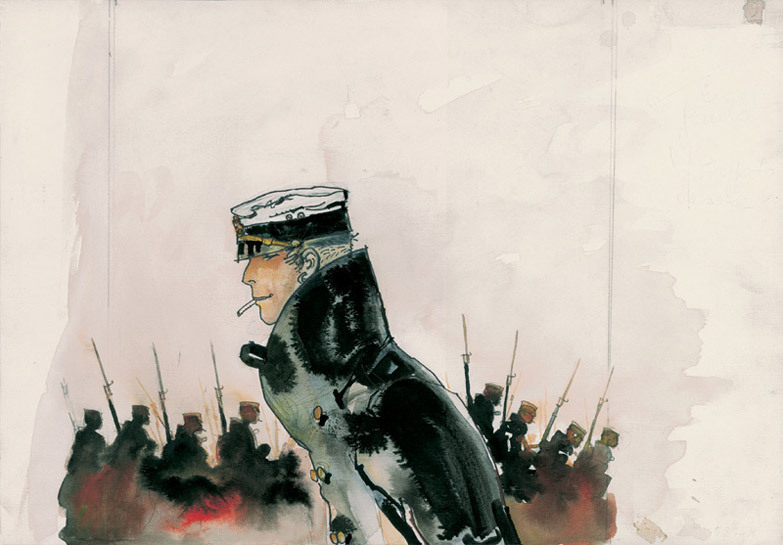 Given his genealogy, it is not surprising that the Maestro created Corto Maltese as the offspring of a British sailor and a gypsy, and had him grow up in the Jewish quarter in Cordova. 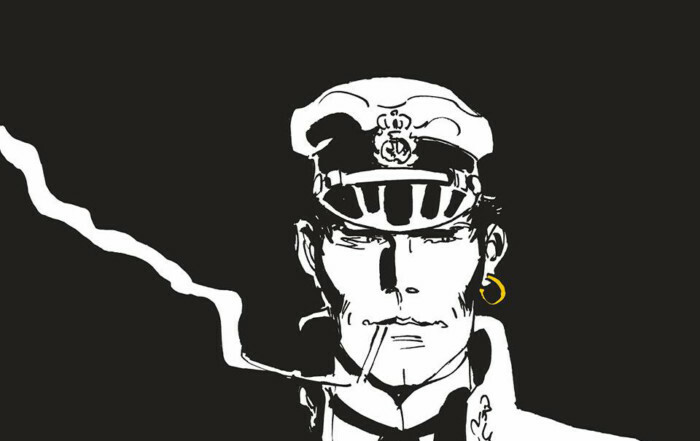 Today we know that this character, who sprang from the particularly creative imagination of an artist with a rare gift, will go down in history.